Leading Australian water industry companies and professionals have been recognised for excellence in technology and expertise at the Water Industry Alliance’s 2018 Smart Water Awards. In its 15th year, the Awards recognise and celebrate Alliance members for their leading-edge expertise and innovation. 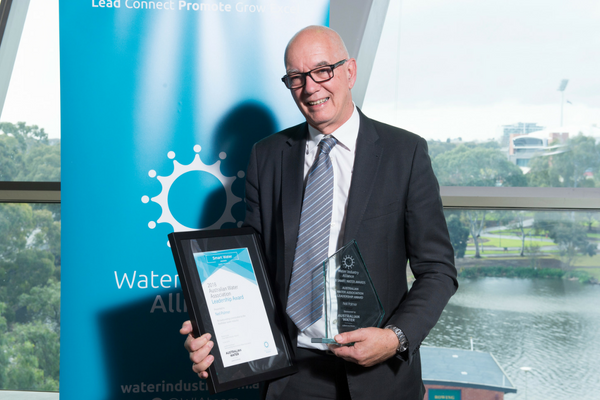 Desalination leader and water engineer, Neil Palmer, was awarded the coveted Leadership Award at the Ceremony on Friday July 6 for a career spanning 42 years in the Australian water industry across government, private sector and research leadership roles. Starting in 1975 at the South Australian Engineering and Water Supply Department, now SA Water, Neil has also worked at the Fiji Public Works Department, the South Australian EPA, United Utilities Australia, Osmoflo and spent five years as CEO of the National Centre of Excellence in Desalination Australia.  Most recently Neil joined Tonkin Consulting in South Australia as Principal Water Engineer. Neil’s specialisation in desalination means he is passionate about managing existing sources and creating new sources of fresh water with innovative but robust technology ranging from simple solutions to complex municipal, industrial and agricultural systems. Neil was also instrumental in developing the idea and the team to deliver the Northern Adelaide Irrigation Scheme feasibility study. The project concept involved the creation of an export-focussed agricultural industry in the northern Adelaide Plains that would drive economic development and create jobs through the use of high-value recycled water. SA Water subsequently pursued the water infrastructure part of the project, whilst Tonkin Consulting and other partners continue to pursue the creation of a high-technology greenhouse precinct. Neil remains a passionate advocate for this project and the concept of creating a new high-productivity horticultural industry in South Australia using recycled wastewater. He also has a keen interest in harnessing renewable energy for water supplies and a strong interest in water policy. Neil is well known in the national and international water industry as an acknowledged and respected source of vision and wisdom. He was awarded the SA Premier’s Water Medal in 2006 in recognition of his service to the SA Water industry, and was recognised in January 2015 and again in 2017 by Water and Wastewater International Magazine as one of the world’s top 25 influential water leaders.